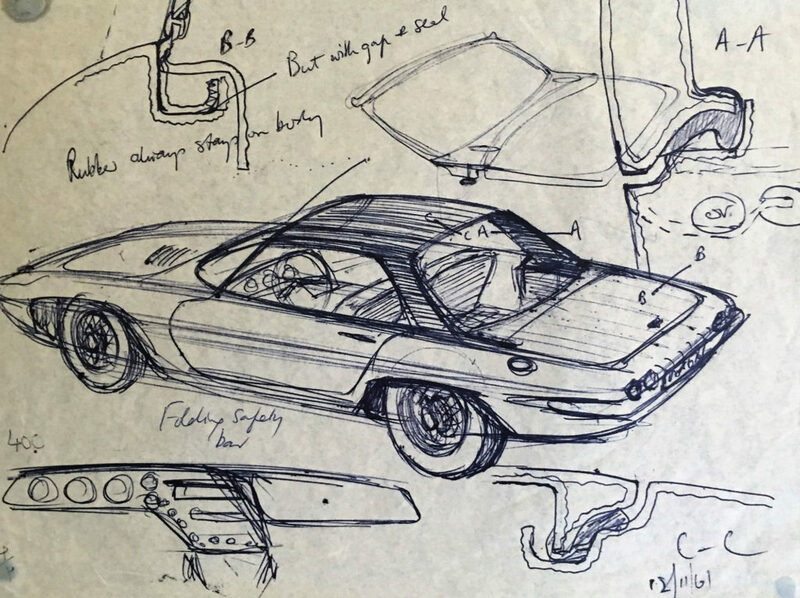 A collection of drawings and documents by Lotus sports car designer and inventor the late Ron Hickman has recently been donated to the National Motor Museum. 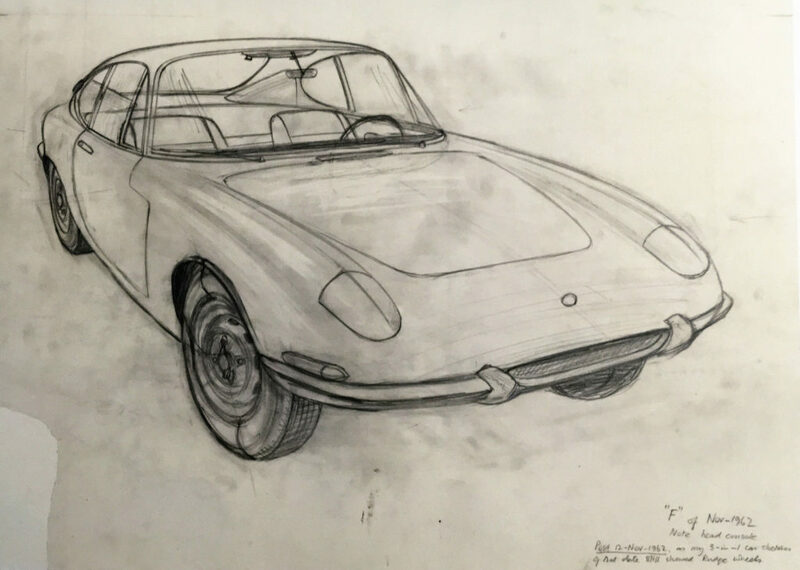 In this blog, Senior Curator Sarah Wyatt, explores the involvement Ron had in the design and development of the Lotus Elan. 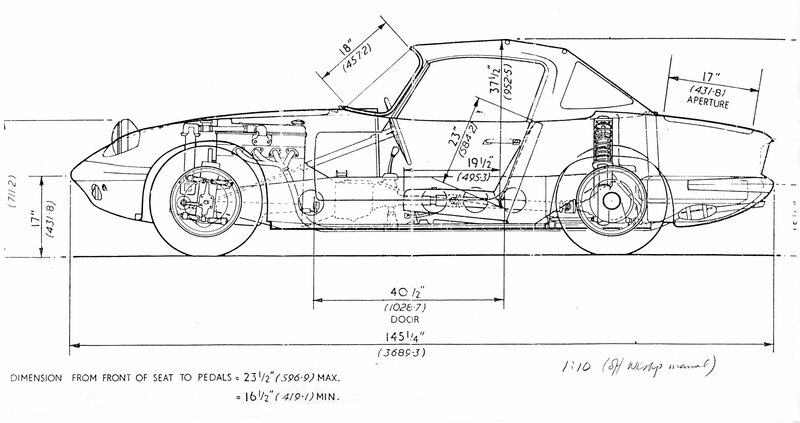 Ron Hickman, in an internal Lotus memo from November 1966, states that this change in construction approach from the Elite halved the cost to manufacture the body for the Elan. Another important change was the engine. Lotus moved away from the 1216cc Coventry Climax engine of the Elite to the newly developed 1558cc Lotus Twin Cam. 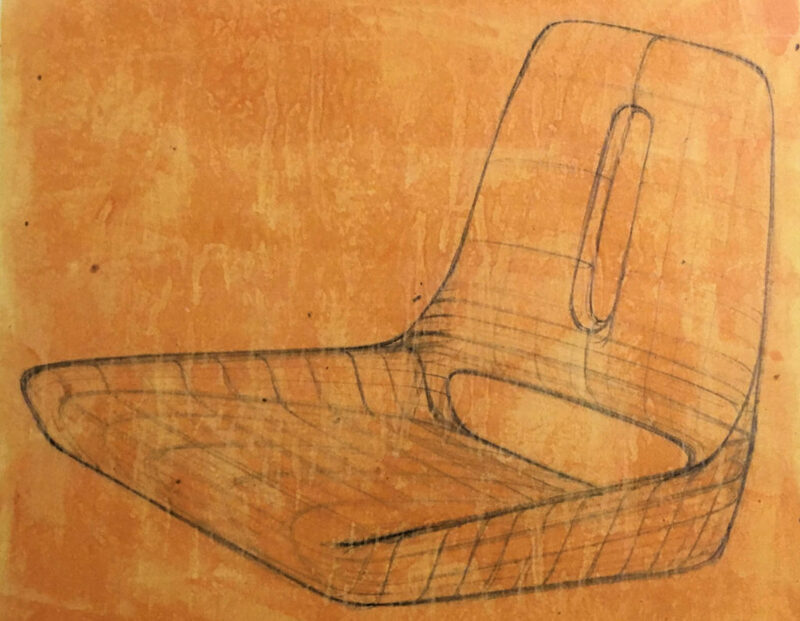 Another example of Hickman’s ingenuity is in the design of the seats of the Elan. Whilst the seat itself had fixed backrests, it was mounted on inclined ramps, which, together with a height adjustable steering wheel, was able to accommodate a variety of shape and size of driver. The Elan was launched in 1962 and was Lotus’s first commercial success. It stayed in production in various forms until 1975. Its innovative design inspired later generations of sports coupes such as the Mazda MX-5. The Elan was marketed as a fully built car at a price of £1,499. However, many buyers elected to buy it in kit form to assemble themselves at home, thus avoiding purchase tax. This saved just under a third of the cost. Home-built cars, once completed, would be tested and certified by Lotus. The car won many admirers. 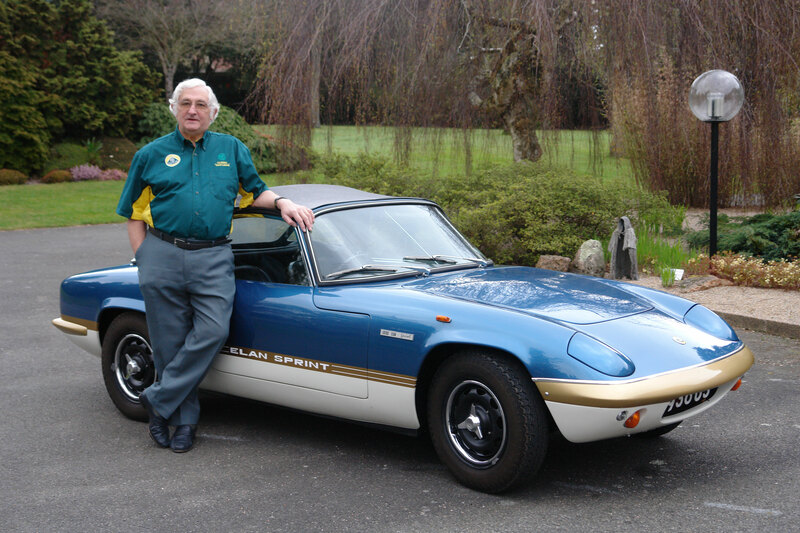 This included several famous Elan owners including Paul Newman, Peter Sellers and Jim Clark. Clark had a personalised Elan with a leather-covered dashboard. We feel that this is one of the most coherent designs of our time, in which an almost perfect balance has been struck on all the conflicting considerations and requirements. Read more about the Ron Hickman donation. John Bolster, The Lotus Elan and Europe (A Collectors Guide) (London: Motor Racing Publications, 1980) p.14. Chris Harvey, Lotus: The Elite, Elan, Europa (Sparkford: The Oxford Illustrated Press, 1982) p.37.